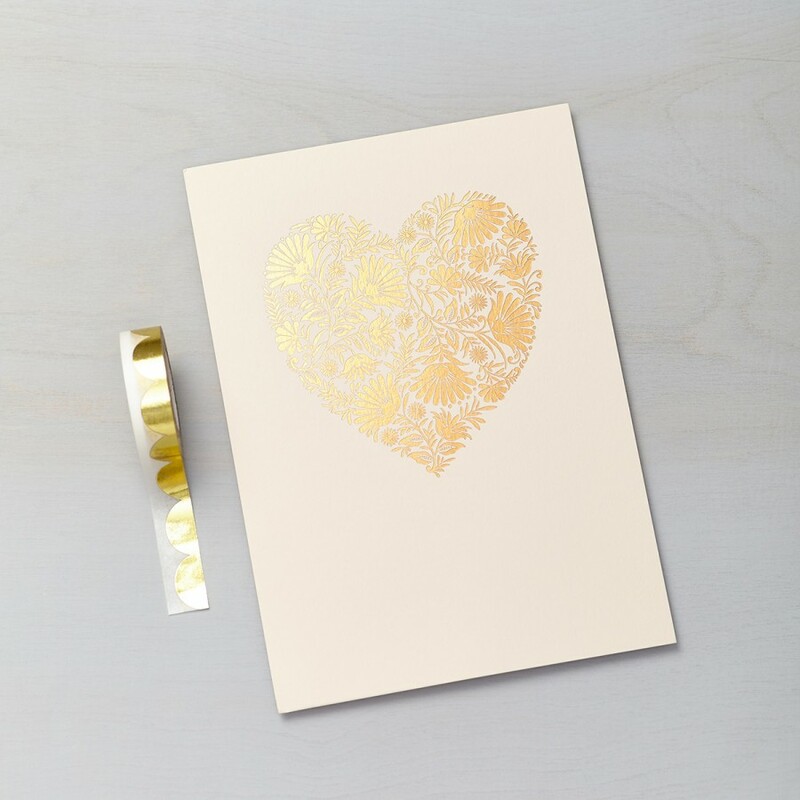 Beautiful heart shaped stylised floral pattern in copper foil, printed onto luxurious blush card. If you’re looking for something beautiful for your home, or a gift for someone that you love, this print is perfect. Unframed, this item will be shipped with a sturdy backing board for protection. 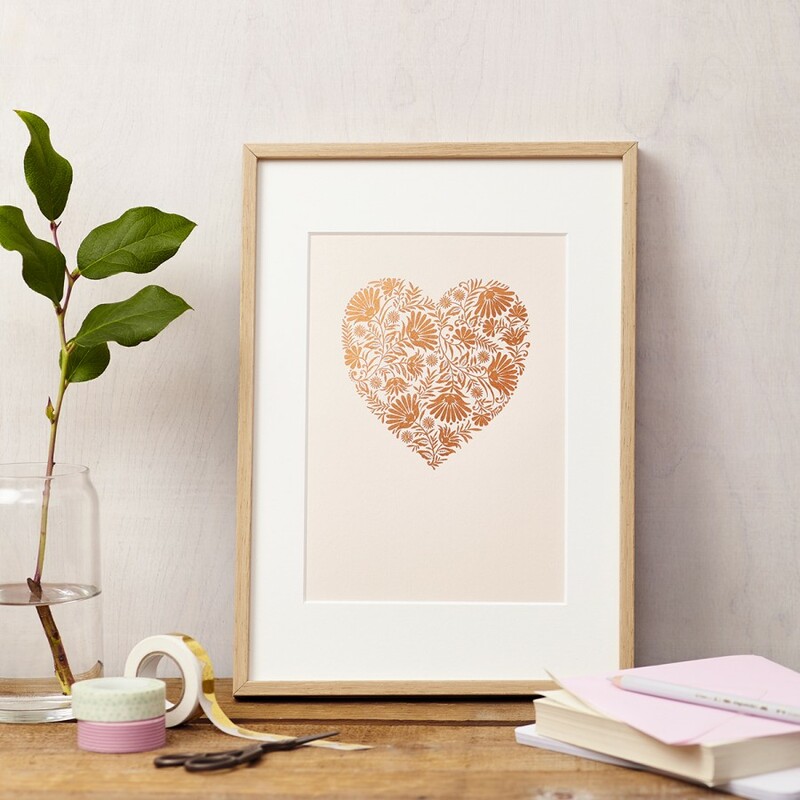 Frame options: Print comes unframed but fits into an A5 frame or an A4 frame with a mount.